This afternoon I baked these bread "snails" with a filling of pear, walnuts, cheddar and thyme. 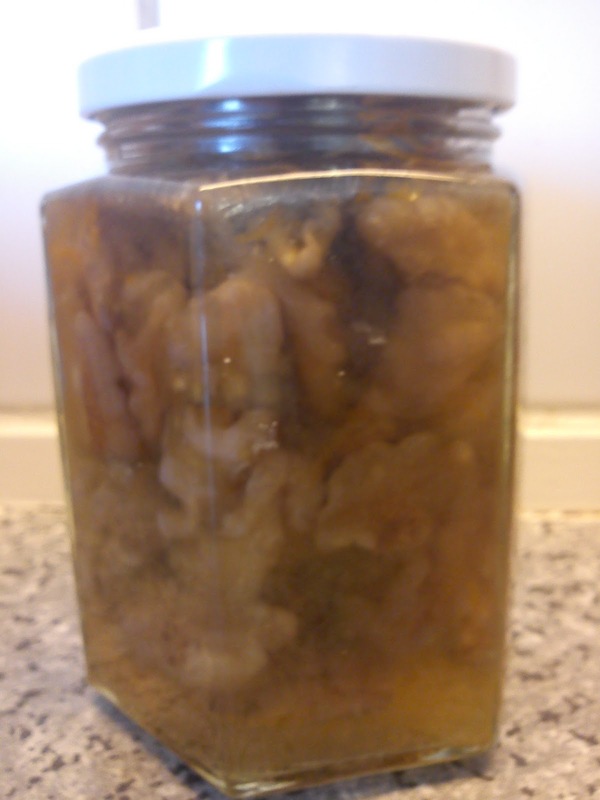 Dissolve yeast in water. Add honey, salt and oil. 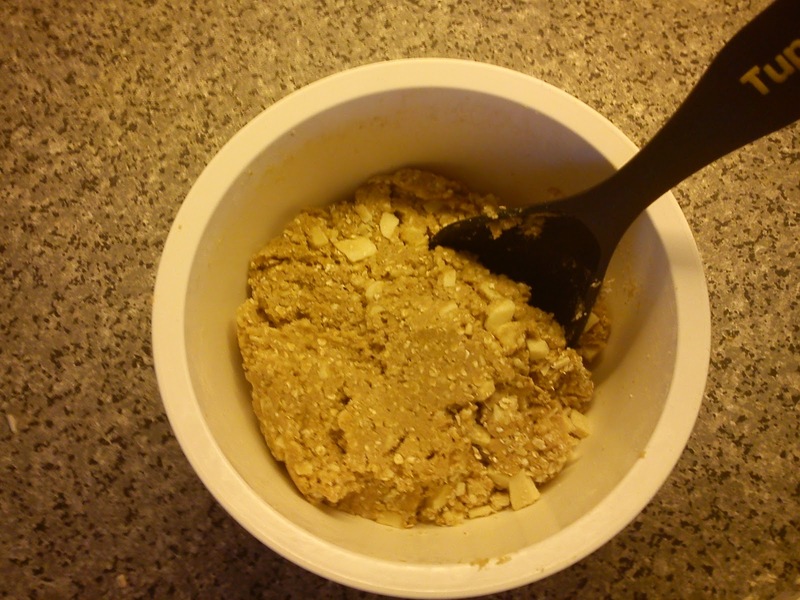 Add wheat flour, while stirring. Afterwards knead until the dough is soft. Cut the pear into very small squares. Mince the walnuts. 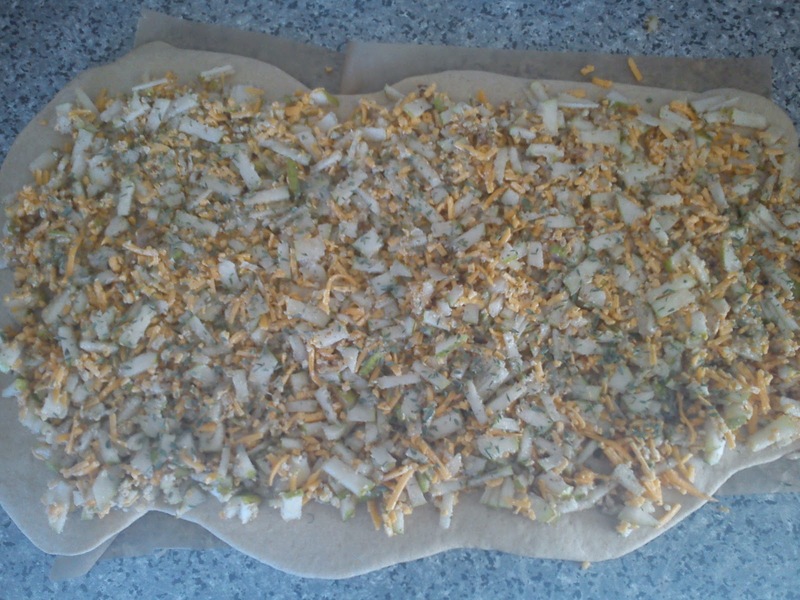 Mix pear, walnuts and cheddar together with salt and pepper. 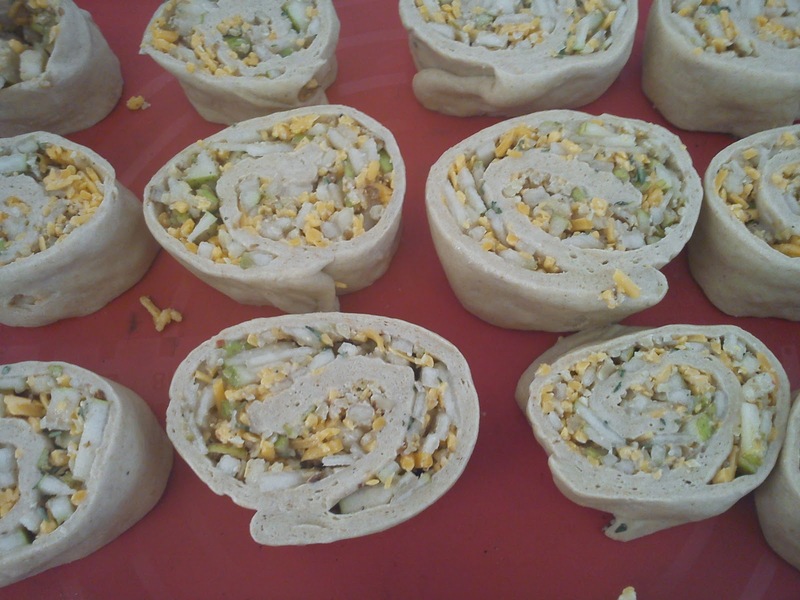 Roll the dough in 50 cm x 25 cm. 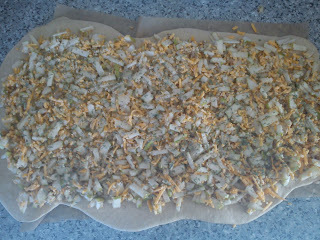 Add the pear, walnut, cheddar on top. Add the dried thyme on top. Roll dough and filling together like a roulade. 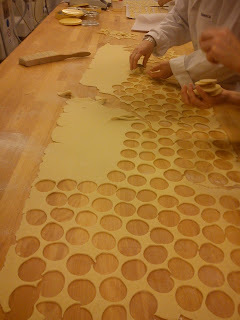 Cut it into 16 pieces. Place these "snails" on baking paper. Let is raise for another 15 minutes. Bake these "snails" at 200C for 15 minutes. I am a big fan of walnuts as well as almonds. Those are my favourite type of nuts. 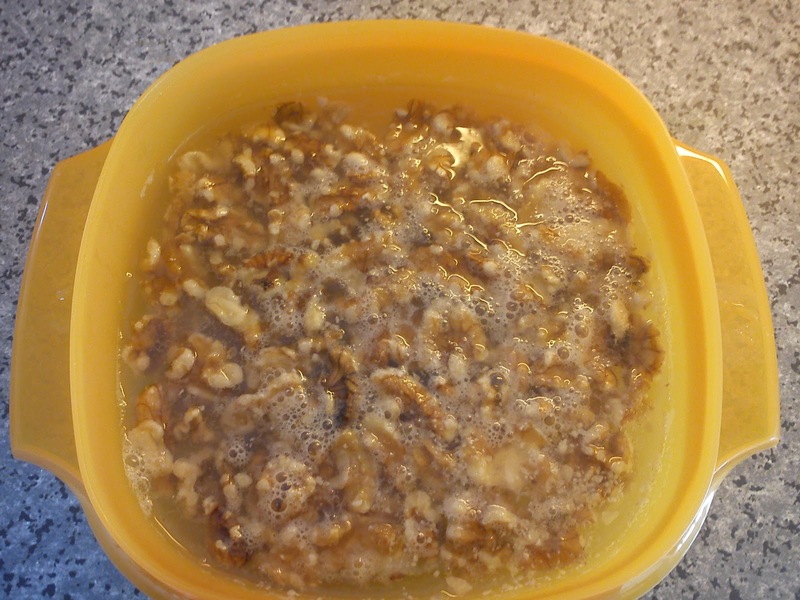 Place the walnuts in a bowl and pour boiling water over them. 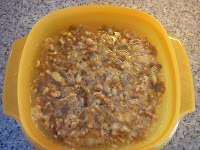 Let the water cool down and remove the walnuts. 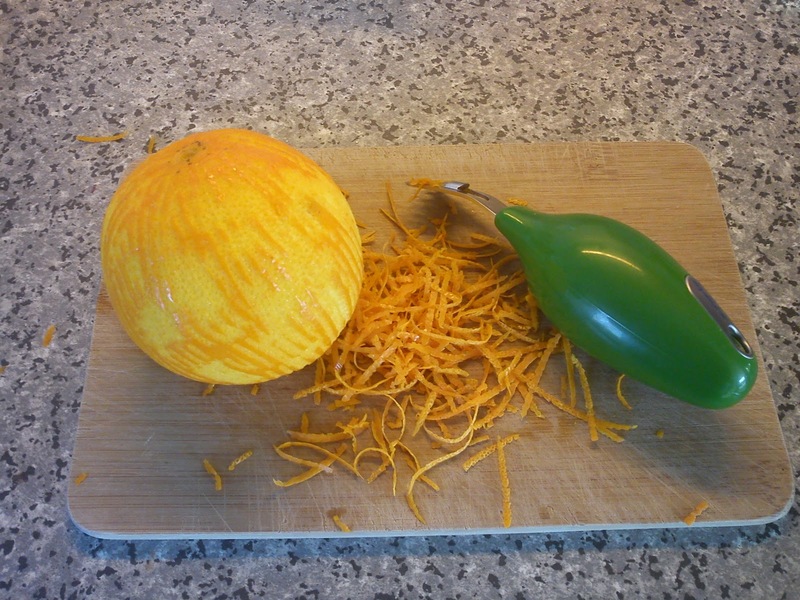 Peel in the orange and cut the peel into thin pieces. Here I used my zest peeler. Place the walnuts in jam jar. Here I always fill the jam jar with boiling water for some minutes, before add the final content into the jar. 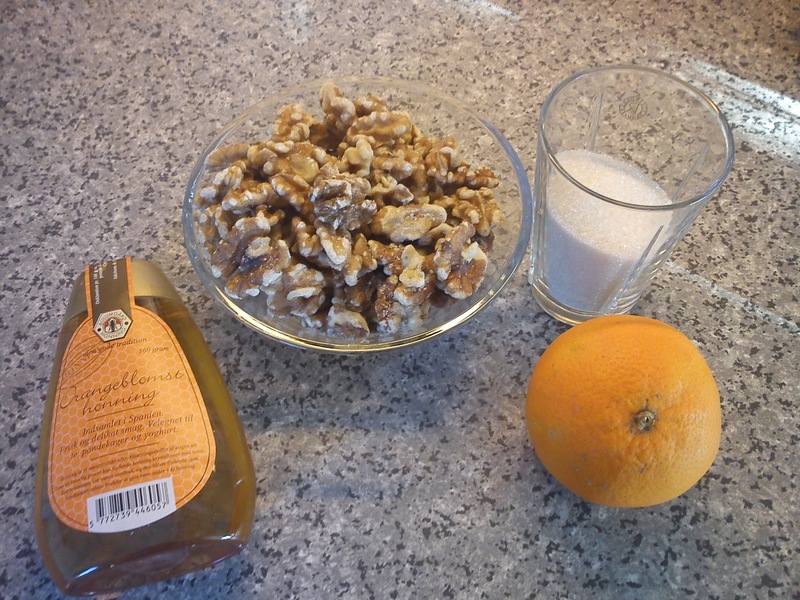 Cover the walnuts with the honey-syrup. 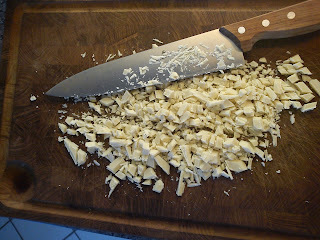 To be used together with cheese. I am looking forward to taste these walnuts. 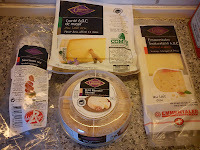 When I am able to combine business trips with various types of shopping/pleasures it is perfect ! During my short visit to Paris this week I managed to drink afternoon tea at Ladurée, tea shopping at Kusmi, food shopping in Monoprix and finally a nice meal at the bistro called Le Congress located at port Maillot. 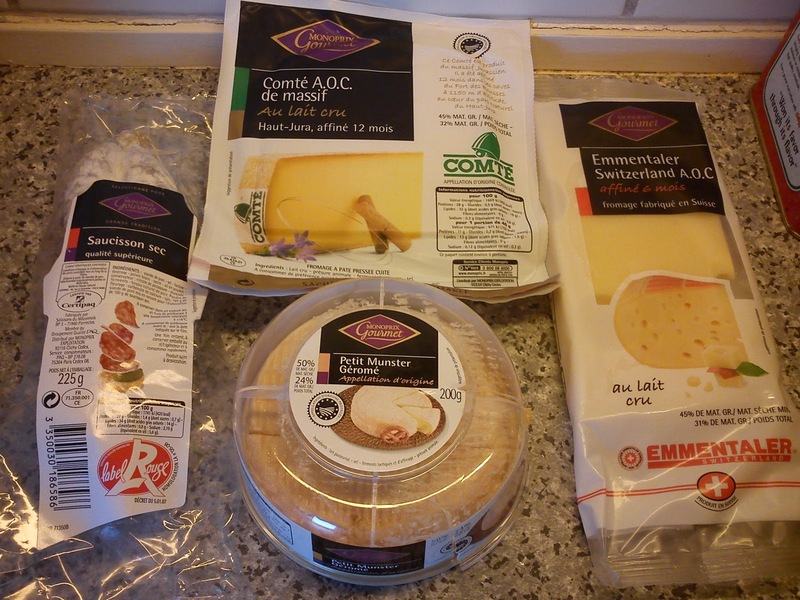 On my trips to Paris I always bring a cooling bag in my suitcase, so I am able to bring yogurt and various cheeses back home. too acid/sour combined with very uninteresting/boring fruit combination. I not eat yogurt as part of my breakfast, but I instead of I eat yogurt as an afternoon/evening snack, so an acidic strawberry is not working wonder in my mouth. So I always buy a selection of yogurt. My favourite yogurt is either with peach or apricot. Instead of buying Kusmi tea in the supermarket I decided to find one of the Kusmi shops. The Kusmi shop on Champs-Elysées is quiet small and very trendy, so I went to another Kusmi in Avenue Niel, where the shop (in old style) is located in a backyard. Here I found the entire tea selection, so some of tea I have not seen before in other shops. 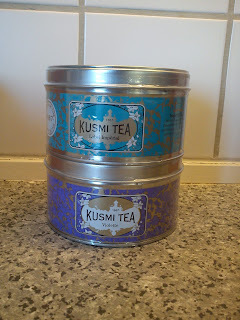 It was also possible to buy all the Kusmi as refill for one´s collection of these trendy tea tins. For my own teapot I found two new Kusmi tea, which I have not tasted before. The first tea is Violette, black China tea with scents of violet (again another flower thing, which I simply have to try). The second tea is Label Impérial (a new Kusmi tea), which is a blend of green China tea flavoured with orange, vanilla and cinnamon, liquorice roots and sea buckthorn berries. I am looking forward to drink these teas. Besides from yogurt and cheese I found some interesting spices products in form of a pear compote with pepper and a herb mix in Alsace style for use in bread. 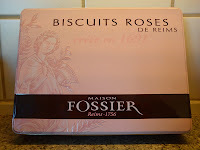 Another buy of mine was some biscuits in rosa tin, which I bought due the tin and the discount. 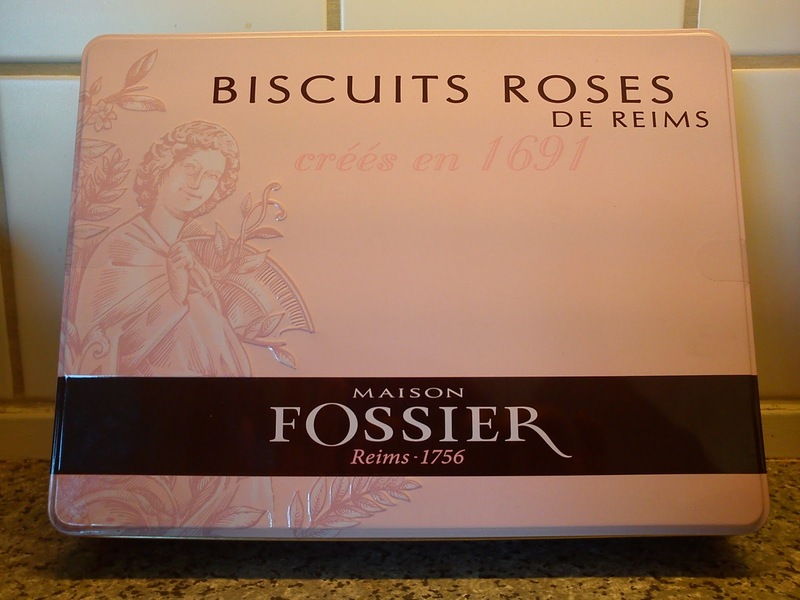 I have no idea, what these biscuits are, so they will be interesting to taste. 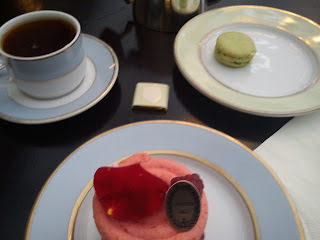 A colleague of mine strongly recommend me to have afternoon tea at Ladurée on the Champs-Elysées next time, when I was in Paris, so this afternoon I did so. This tea is not exceptionally good at it is at Marriage Frères, but the cake AND the macaroon was. Put flowers into something eatable and/or drinkable and I will try it !!!! 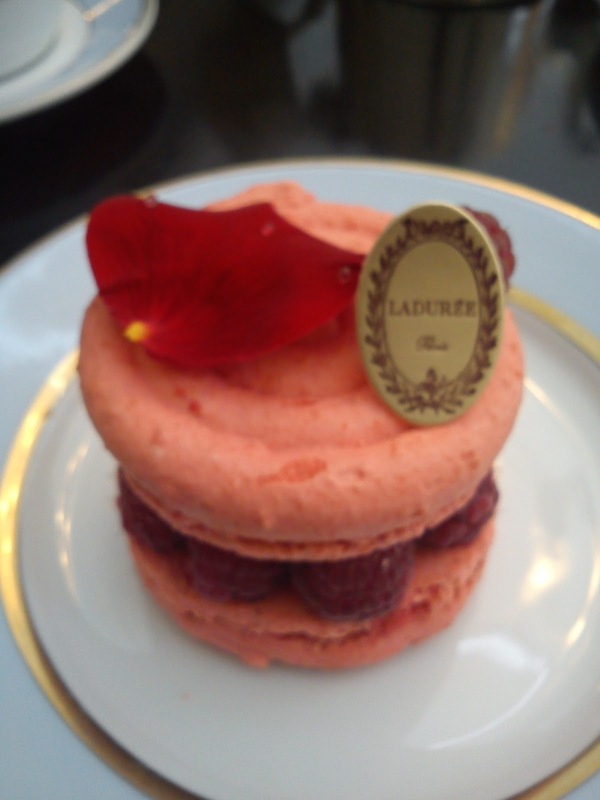 So I decided to taste the cake called L´Ispahan as it is soft macaroon with raspberries and rose. The taste of rose was excellent. And the cake was decorated with rose petal including dewdrops. The dewdrops are fake, which I noticed after sticking my fingertips into those dewdrops, but the illusion was just great. Confused about this headline ? Yes, I have been "force feeding" all my colleagues with all my Christmas cookies and candy leftovers. But I still have some home-made gingerbread cookies left, as this is my favourite Christmas cookie = I do not share this specific type of cookies with any of my colleagues !!! 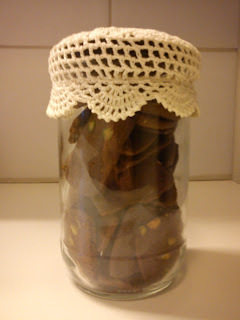 I just love the specied flavour of gingerbread cookies. Friday 21 January 2011 my parents were celebrating their golden wedding anniversary (50 years of marriage) with a party for the family and their friends. After det dinner we were served home-made marzipan ring cake in form of a heart and filled with various chocolate pieces. 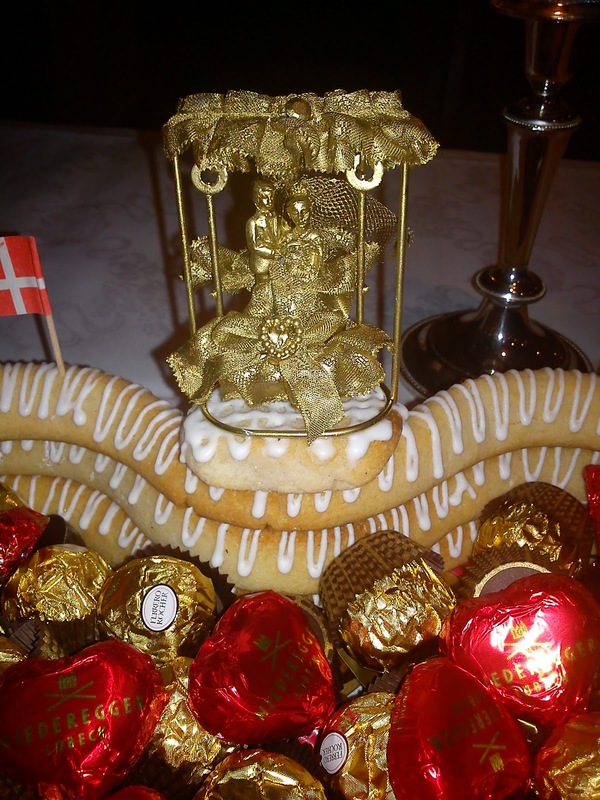 This cake was created by one of the sons of my parents neighbours. 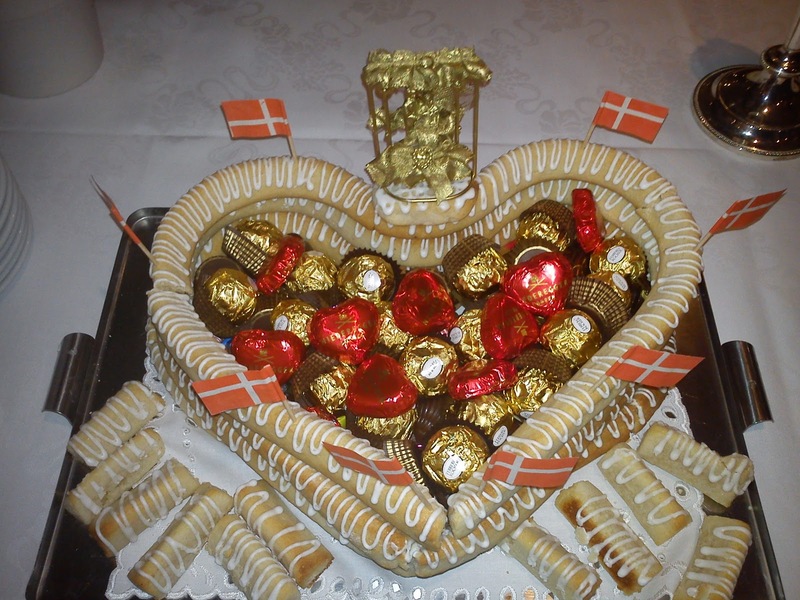 The cake tasted great, and the sweetness level was just right: sweet, but not over sweet. 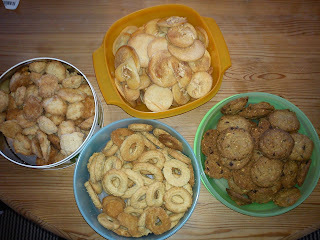 I have been "force feeding" my colleagues with leftovers of my "home made" Christmas cookies. They think, that I do them a favour by providing them with some sweets for their afternoon coffee. Actually they are doing me a great favour by eating all these "empty" calories coming from butter and sugar !!!! 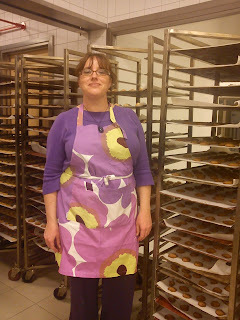 I was one of 25 lucky persons, who got a place at the Christmas baking event at work, which took place two weeks before Christmas. 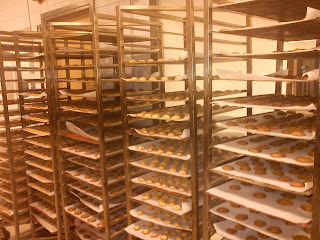 The baking took place in a professional bakery situated at work, and two bakers were "supporting" us during the event incl. taking 100% care of the actual baking process, so none of cookies were burned. We were divided into four working group, each making one Christmas cookie, in big portions of 13-15 kg, so every participants would get approx 400 g of each cookies after baking and different tasting "sessions" of both dough and freshly baked cookie. 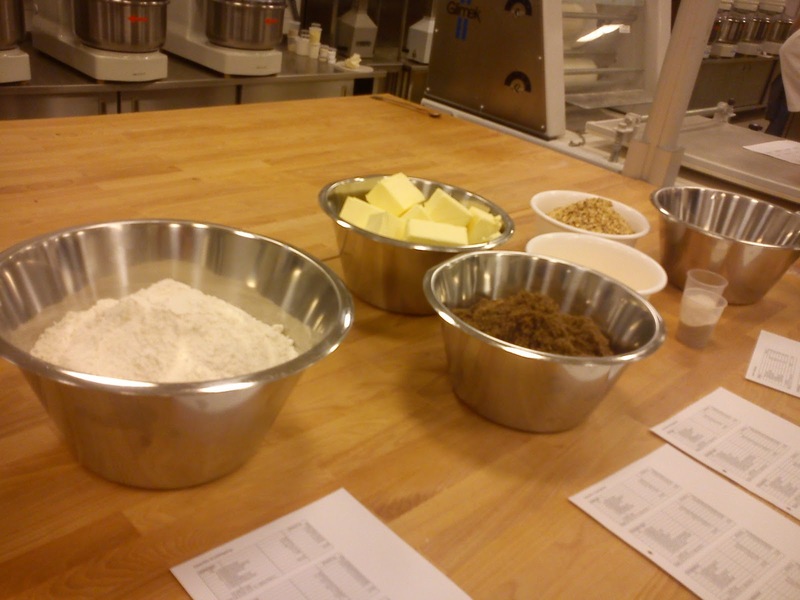 I was in the low technology group only using a "plain" mixer, while the other groups got to use many different types of baking equipment. Anyway, it was funny, busy evening, where I got home with 1.5 kg in total of four different Christmas cookies. I am big fan of the various Marimekko design for bed linen, towels, clothing and kitchen tools/equipment. And every time, when I visit Finland in connection with business trips, I always managed to pass by the Marimekko out-let in Helsinki. 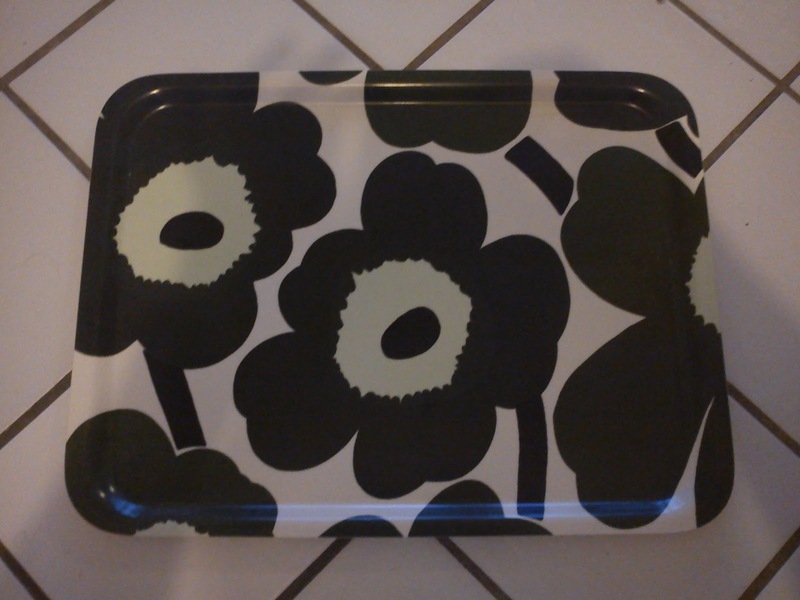 On my last visit I found this tray with the traditional Marimekko flower pattern. This Sunday I have been baking the bread called "Klosterbrød" from my baking book "Hjemmebagt", which translates into monastery bread. This bread contains three different flours in form of wheat, spelt and rye together with salt, buttermilk and roasted sunflower kernels and sesame. The roasted sunflower and sesame gives nice flavour to the bread. Instead of forming the bread into one big loaf sharped in a ring, I decided to make small bread rolls, as these are so much easier for find room for in my small freezer only containing 2 drawers. 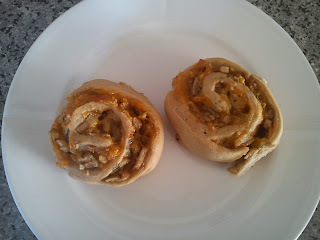 After baking I right away place the hot bread rolls in the freezer. When needed you defrost the desired amount in the microwave oven, and the bread is just like warm fresh baked bread. I am a big fan of cakes and muffins containing apples and cinnamon, so I just needed to bake this apple cake with Christmas spices based on a recipe from Aarstiderne's newsletter: Æblekage med julekrydderier as this recipe is in Danish I have translated into English, so you try it as well. Bake another 15-30 minutes until the cake is finished. Check with a knitting pin or cake tester. A friend of mine, who recently visited Japan with her job, bought this small, thin, pink silicone form for me. 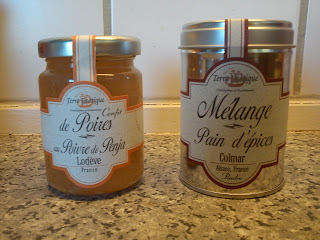 I am looking forward to trying in my kitchen. In connection with shopping of different fruit and vegetable for the New Year I found some pomegranates from the bazaar close to work. And as I am becoming a bigger and bigger fan of pomegranates I decided to buy those as well. 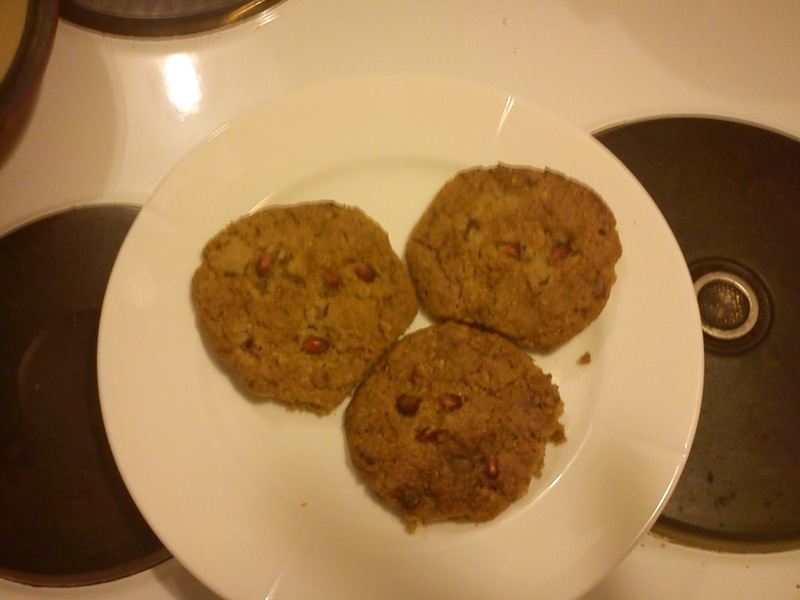 Looking at various food blog I found this recipe on Pomegranate & White Chocolate Chunk Cookies from the blog "Two Peas and Their Pod", which I decided to test out. 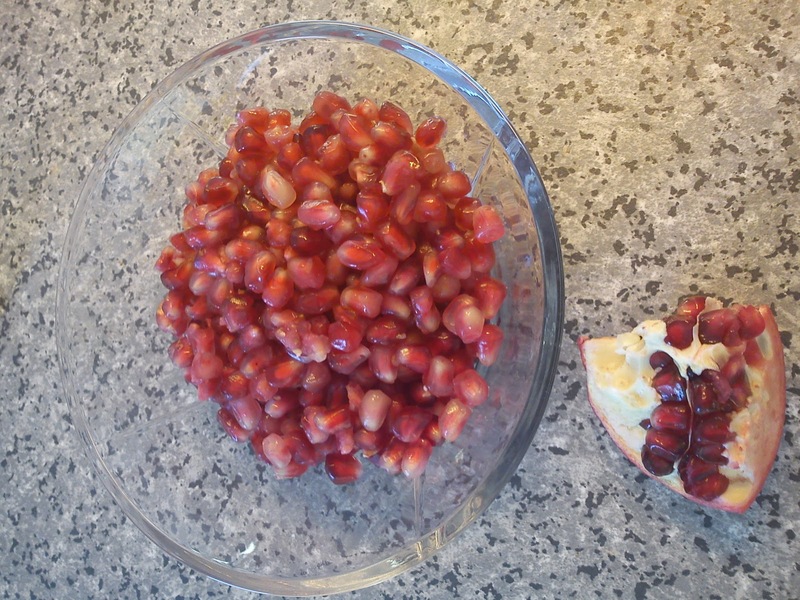 1 cup of pomegranate kernels = approx. 2 pomegranates. I baked the cookies for 12 minutes, which in my oven gives crispy cookies, so I will use 10 minutes next time, as I prefer my cookies to be chewy. 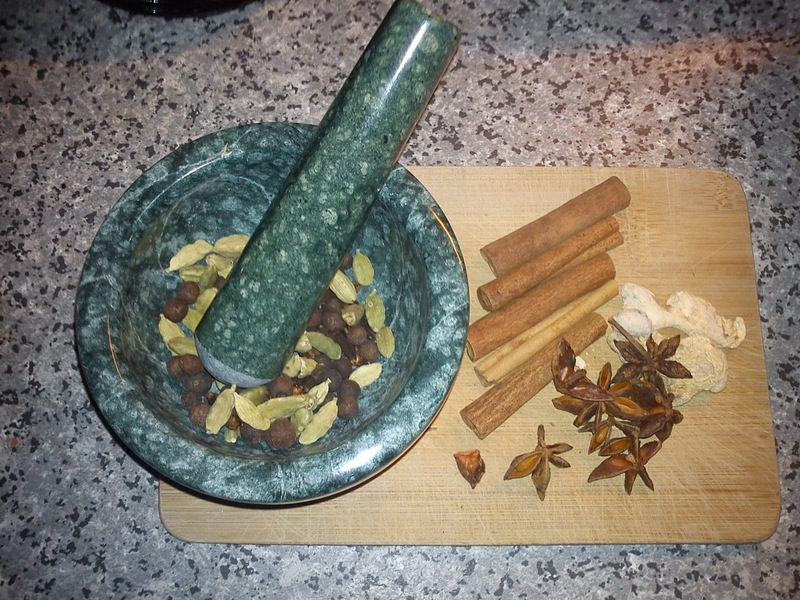 And do not forget to use your apron, as removing the pomegranate kernels from the fruit can be quiet messy. After I have accomplished my first bread recipe from the the bread book "Hjemmebagt" I was ready to try a new recipe today. 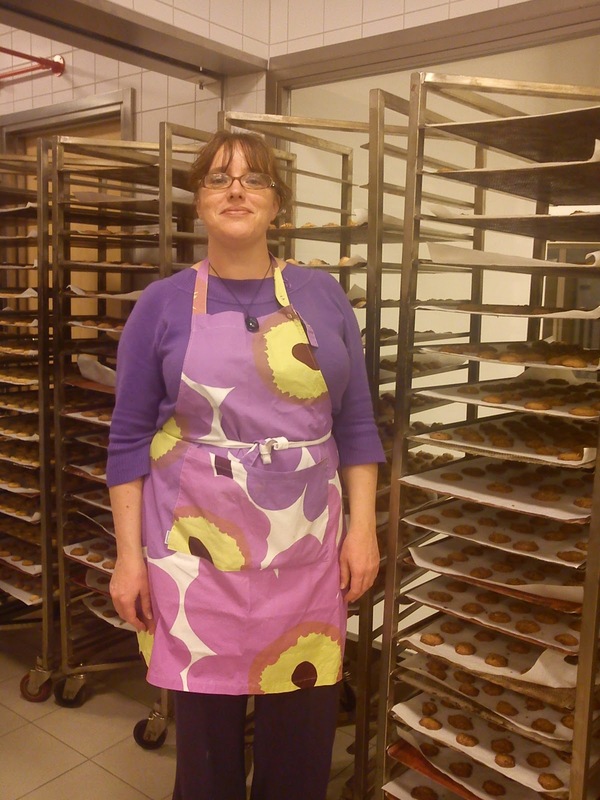 I decided to bake Grønne kranse (green wreath-shaped bread). The green part is coming from stinging nettles. As it is winter time it is impossible to use fresh stinging nettles. Any way if it had been summer, I would not have use fresh nettles, as just the thought about getting hold of the nettles is too scary. I would have been burning my hands, arms and legs collecting these nettles !!!! I wonder, it kneading with fresh nettles will burn your hands ? However, you can buy dried stinging nettles in the shops in Denmark :-))) So I did not burn my hands and arms making these bread with nettles. The bread has a nice looking shape and it tastes great. And I managed to get the bread right in my first go, so I can start to look into finding and baking my third recipe from "Hjemmebagt. At my Christmas candy afternoon in November I got a nice hostess gift with Italian style cookies, cinnamon sugar syrup and Christmas tea. I have eaten the cookies (uuhmmm) and now I am drinking the very last cup of the Christmas tea here on the very first day of 2011. 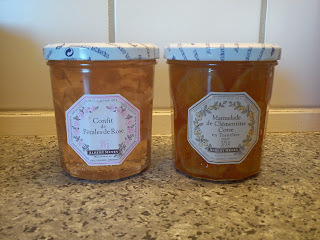 The only thing left is the glass jar with the cinnamon sugar syrup, which I am not completely clear about what to use for. Do you have an idea ? I know it is 2011, so the Christmas of 2010 is already over and done with. Anyway I would like to share my last two Christmas recipes with you. A former colleague has shared this recipe with me. I find that mulled wine based on red wine really needs to be consumed hot in order for me to like the taste. Whereas mulled wine based on white wine is more refreshing in taste and therefore drinkable both warm and colder. This is my opinion, which you do not need to share. 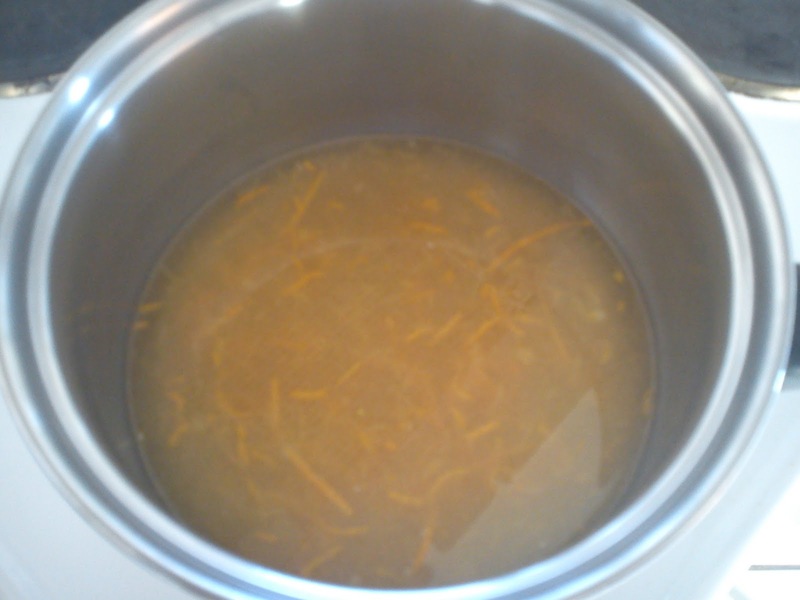 However, try once to make mulled wine based on white wine instead of the usual red wine and taste the difference. 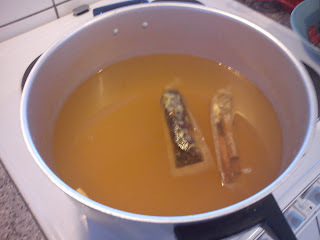 Put the spices in a tea bag, which makes it so much easier to remove those, when needed. Close the tea bag with a knot. Mix elderflower and apple juice in a big cooking pot and place the tea bag(s) with spices in the liquid. Place the mix cold night over. Add the white wine. If you would like to have a "strong" mulled wine you should also add some aquavit without flavour (Brøndum snaps) or vodka. Heat up to you see "steam" evaporating, the mulled wine should NOT boil, as you will loose the alcohol. 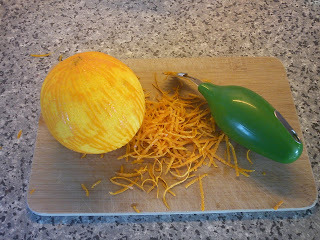 In each serving glass place a slice of an orange - use organic, so the peel is not loaded with chemicals. 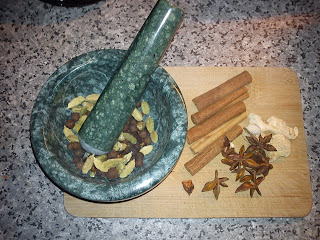 Also add a part of whole cinnamon as decorating item. Put in one teaspoon of light coloured raisins and one teaspoon almond splits. 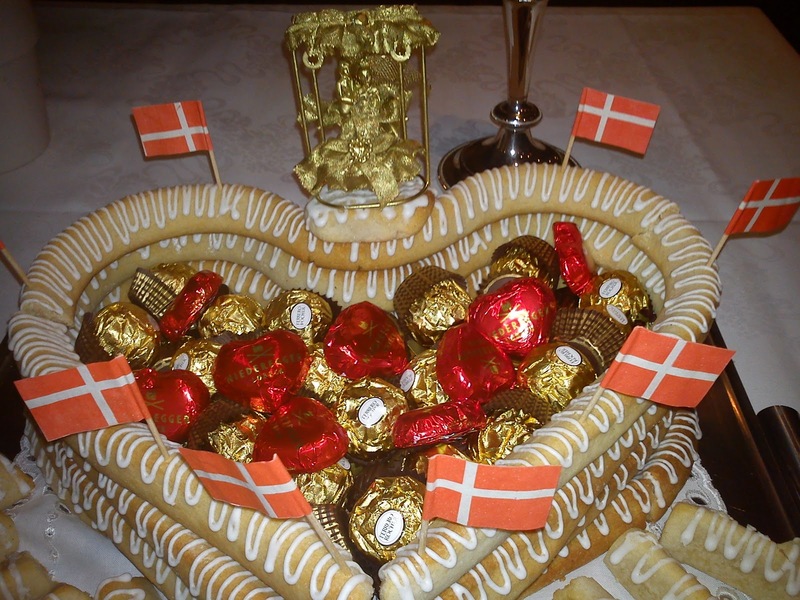 In December Ris à l´amande is THE Christmas dessert in Denmark. And the majority of Danes will have their own very, very specific tradition on how the "fight" for the whole almond should be done in order to win the almond gift. Personally I just like to eat my portion of ris à l´amande enjoying very single spoonful of it without wondering, if this spoonful contains the whole almond, so I prefer to serve ris à l´amande without THE whole almond. 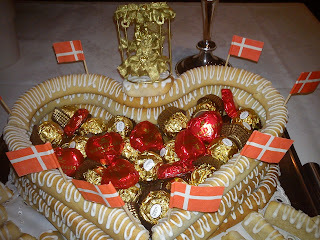 Now the wast majority of Danes will think, that I am strange !!!!! 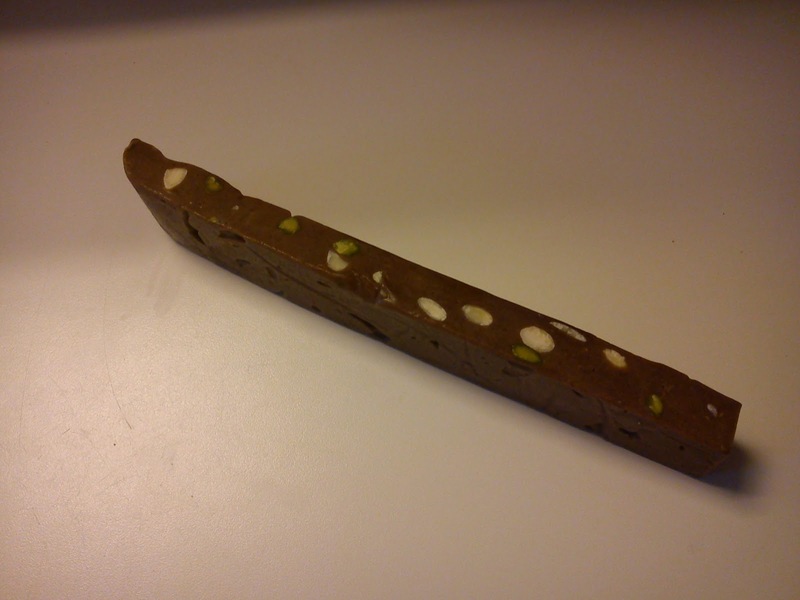 Do not forget to remove the vanilla pod. Mix cold rice porridge, almond splits and cream together, gentle mixing. Heat up the cherry sauce. If you are whole almond believer do NOT forget to mix in this almond or you will be in big trouble with your family and guests.